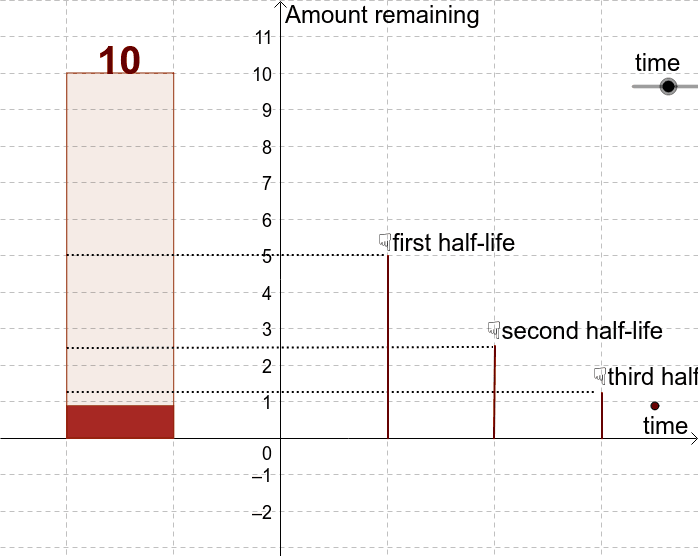 This applet illustrates the progression of decay we observe if we begin with 10 units of our material which has a constant rate of half-life decay. Click "Start" to begin the simulation. What do you notice? What is happening in this simulation?